Just as soon as I was getting the hang of this whole roofy-upsidedown thing my exceptionally short attention span shifted along with the passing clouds. Due to an unexpected deviation from the rain theme, North Wales was showered in bright light and blessed with high temperatures. This lapse was never going to last long so urgent action was required. A Midsummer Night’s Dream has long been on my never ending ticklist and it’s one of those ones that is very easy to put off – the first pitch is bold, committing, scary, and quite precarious – in fact, having written this short list of reasons I am not 100% convinced as to why I got on it in the first place. Your head definitely needs to be in the right place, so having climbed ‘King of Rumpy’, an E6 gritstone-esq solo up the Llanberis Pass I felt like the time was (or could) be now. Fortunately Midsummer’s went quite smoothly, the only ‘hiccup’ came on the first pitch where I missed the third peg. In effect this made for inconvenient times, looking below I could see it staring up at me 50cm below my feet. Un-reversable moves. 20m ground-fall. No thanks. Don’t Fall. Onwards. I would highly recommend that anyone wishing to do the route seeks the peg out, there is no reason to make things any more dangerous than they need to be. My other recommendation is to continue to the top rather than lower off (you haven’t really done the route have you?). 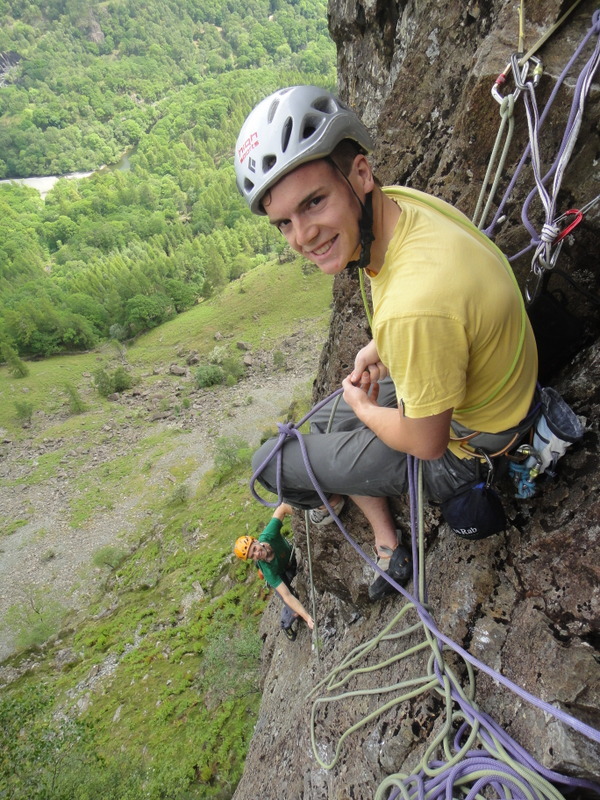 The second pitch is a superb E5 6a and the third is a neat boulder problem in space, furthermore because you are a long way up you can’t hit the ground. I liked that. 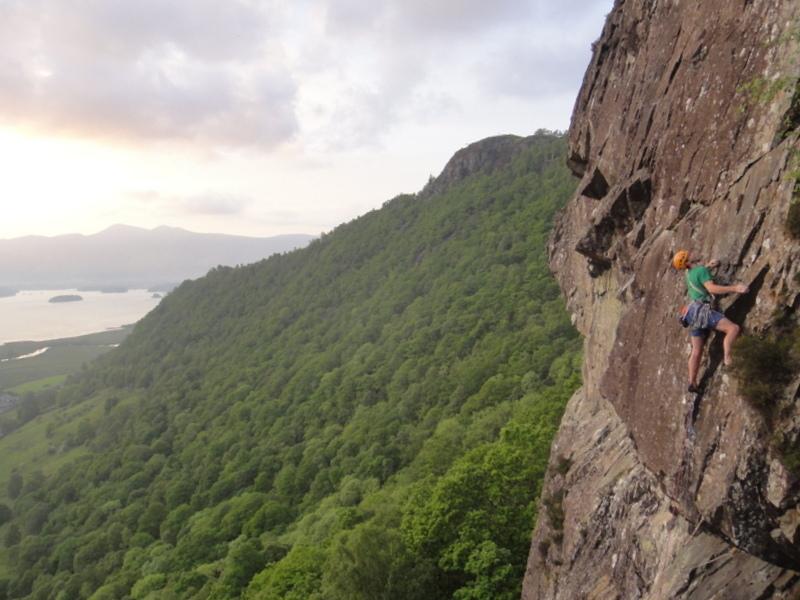 Whilst my limited attention span was in focus a long Jubilee weekend permitted a trip over to the Lake District with the Booth brothers – Adam and Ed – and Dr. Ed Mitchell. 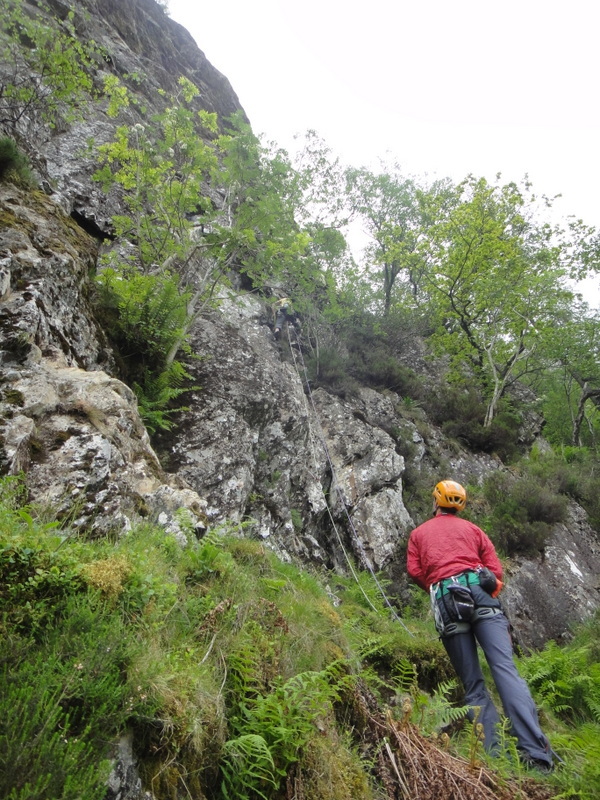 Our game plan was simple: do as many routes in Extreme Rock as possible. First up came a day out on Goat Crag where we did Bitter Oasis and Mirage. This crag has seen some cleaning efforts courtesy of a few dedicated locals – thank-you – and is well worth the trip for those looking for something a little more interesting than Shepherds. On Mirage I cultivated a level of pump so severe that I spent the majority of the next two days recovering (n.b. Cumbrian Ale does not facilitate recovery, despite its near perfect electrolyte balance). It is always good to get a pummelling when you think you are on the form of your life. 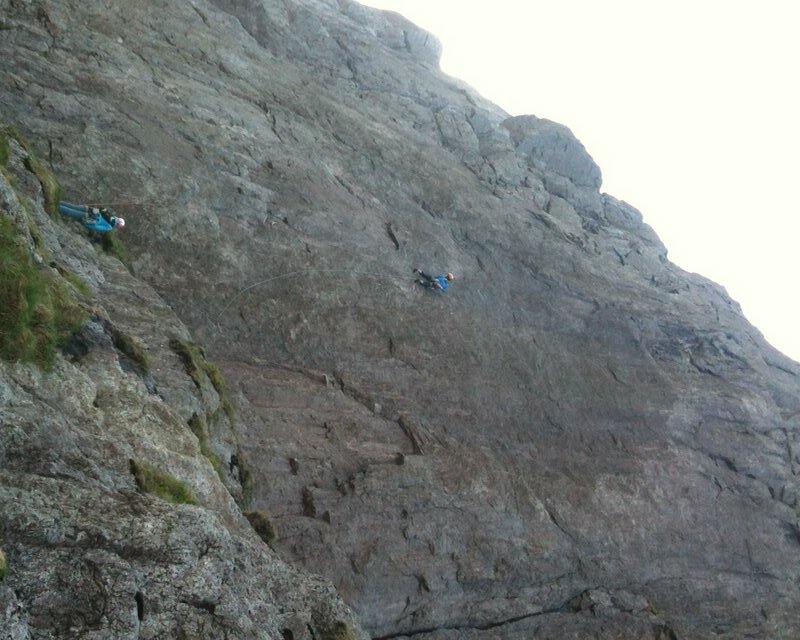 Gives you a good grounding to know that climbing bold routes temporarily gives you some astonishingly high numbers. 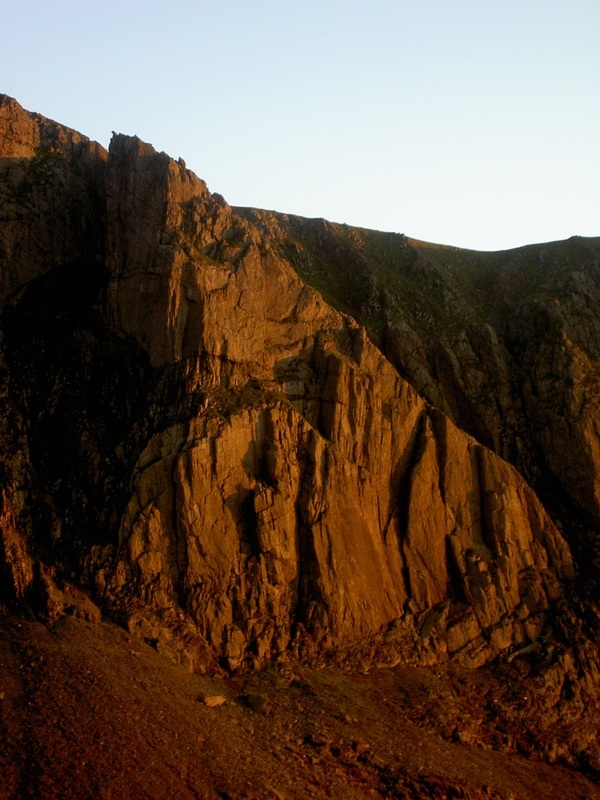 Goat Crag – Despite recent cleaning efforts the quantity of greenery upon arrival is concerning. Next came Pavey where we climbed Cruel Sister and Fallen Angel -in my humble opinion the latter stood out as something exceptional. 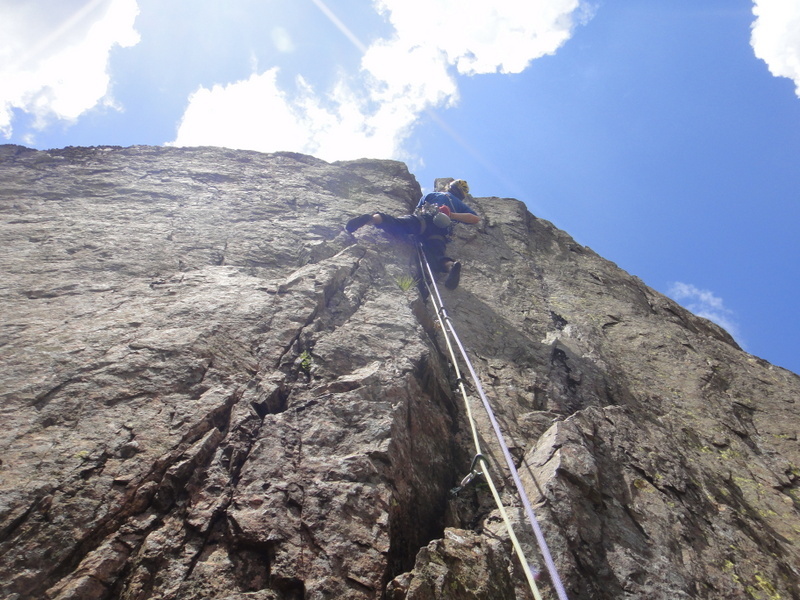 In the guidebook it has everything going for it: 47m single-pitch, E4 6a, lots of climbing, great rock, good line – but – upon first sight you witness the horror that is about to take place. A featureless groove, akin to something you’d find at Tremadog, but on mountain rock and graded by Cumbrian people (who grade things properly). Nightmare. No pictures were taken throughout the ascent (and even if there had been they wouldn’t have been suitable content for this website). Skipping from south to north we had a rest day at Reecastle (what were we thinking…) then made plans for the following day.